Below is a letter Mike Glasser, the president of the New Orleans Police Officers Association, has written to CNN. One of the more ignorant comments made , which is why I can no longer watch CNN. their objective lately appears to be to slander, lie and do whatever is necessary to degrade Law Enforcement Officers across the Country. Shame on the anchor and shame on CNN for not firing her on the spot. I sincerely hope no one involved ever needs a sis stance from Law Enforcement. I think American law enforcement is doing enough on their own to degrade themselves; they don’t need any help from her. Jay— I can only hope that one day you are in dire need of assistance from a police officer and that they are too busy “degrading” themselves! Fire her now! Her comments were disgusting! I agree! I will not have anything to do with CNN until they fire her and issue an apology. I am sick to death of hearing the media use their broadcasts against law enforcement in attempts to get their ratings up and be the “first” to have the story …..its appalling ! I have 2 family members in law enforcement and their lives MATTER TO ME!!! I back up what Mr. Michael Glasser says here and I feel Ms. Whitfield should make a public apology or hit the road! EVERY job in the world has bad employees, even law enforcement, but that does NOT make it right to side on the criminal…Let Ms Whitfield go a week with an Officer, do what they do, see what they see, and THEN lets hear what she has to say….I am so SICK and TIRED of hearing everyone say bad things about the Police! The world has gone crazy and in a split second decision, I DARE anyone of you to act differently than the majority of them..I respect what they do and am so thankful for them…I will wait to hear her apology or that she got either canned or quit! I wholeheartedly agree with the letter above. Please FIRE Ms. Whitfield and issue a significant public apology by CNN and Ms. Whitfield to the Dallas Police Department, the entire law enforcement community, and to the American people, and let the world know that you fired her due to her comments. We support Law Enforcement, so let the boycott begin. Did you actually see the footage?!! This obviously biased reporter should be terminated from her position immediately. Her description of a domestic terrorist attack is more than appalling, it is contrary to the ideals of the United States of America and promotes violence against those that protect our citizenry on a daily basis. The words I heard this anchor utter made me physically sick. What group does she represent approving of what this terrorist did to the Dallas Police Dept. Who approved what she said and let it go on the air that way? I will NEVER watch CNN unless she is fired. Her words represent CNN. As a former police officer I no longer trust CNN and it core values. I truly don’t know where this young lady (and I use the word, “lady” loosely) came up with the shooters being “courageous” and “brave”. Maybe it was her up bringing or she feels inferior to police officers. Maybe it’s the trend of some citizens these days. Whatever the reason(s), it shows the ignorance of some news reporters and the networks that they work for. With 25 years of Law Enforcement dealing with a wide range of citizens, one thing always appeared to be common, they knew I was doing my job. Some were mad and some weren’t. Sometimes, I would get a thank you after I arrested a person. So the stupidity of this person to make that comment will hopefully haunt her to her dying days. I will not watch CNN until this person is terminated and will not purchase any products that are advertised on CNN. I will also notify the advertisers on CNN that I will boycott their products until CNN terminates Fredricka Whitfield. I saw the footage….. the way you are questioning everyone, you obviously did not! I want nothing to do with CNN until there is an apology. No matter what type of business was shot up, there were human beings inside and that is NOT and NEVER will be acceptable, and then to describe the gunman as “Courageous and Brave”. How sad that someone would ever think that, let alone to be said aloud. I’m not sure when non bias reporting fell to the wayside but thank you CNN for putting an even bigger target on my husband, cousins, friends, family and co-workers backs. There are still good officers out there just as there are still good reporters, lawyers, judges, firefighters, day care workers, teachers, priests and the list goes on and on. Not sure what the personal experience with law enforcement has been to jade some of your reporters so much, but sleep safe at night knowing that no matter what you do or say about the police they will still be there to protect you in your time of need. You’re Welcome. Because that is the kind of people who chose the calling of law enforcement. Wish you could look in a mirror and say the same things about yourself and your employees but my co-workers Rock!!!! Stay safe Blue, the Gold has your back! that woman needs to be fired for her comments. I think CNN should fire her as this is not reporting news but acting to cause tension in the region. Boycott CNN! I support all law enforcement. I’m not an officer but I have worked with many while I worked as an EMT. To call the shooting and attempted murder of law enforcement is appalling. I can’t believe that CNN has not given a statement about the disgusting choice of words by one of your reporters. I wonder how people can trust a news source that glorifies the attempted murder of police. These men and women are peoples fathers and mothers, sons and daughters. Imagine your son is murdered by a gunman and a reported states your sons killer was brave and courageous. This is not something that can be swept under the rug. CNN and those represent it should make a public statement about this matter. I want to thank all those who serve and protect or neighborhoods. Fredrika Whitfield, you disgust me. BRAVE??? You glorify this behavior by calling this idiot BRAVE????????? He is gutsy, perhaps. He is definitely stupid. I hope someday when you need help some “brave” individual comes to your aide. You disgust me. The truly brave ones are the ones that were nearly murdered. You are a poor excuse for a reporter. I’m done with CNN and their anti-police rhetoric. Why do you keep adking the posters if they saw the footage? I saw the footage and can’t understand why she wasn’t fired immediately. I totally agree with you, Gary! This person, TI, is just trying to antagonize everyone, and obviously, DID NOT “see the footage”! Agreed Gary J. I read these comments, watched the footage, her “cough, cough” apologies and the nameless TI has his head where the sun doesn’t shine. WRONG WRONG WRONG thing to say and HORRIBLY WRONG WRONG WRONG apologies by a woman who has no business being a reporter if she can’t purport the news unbiasedly, and when errs to such a horrific extent that she can’t even apologies to the people she insulted and that includes all law enforcement personnel and the viewers who have been exposed to her ignorant words. As for firing her, she should resign like so many good policemen have been forced to do over their mistakes. She needs to own up. This is a total outrage. My son is a State Trooper in Alabama and this so called reporter’s remarks are highly offensive, insensitive and down right ignorant. These people are supposed to be unbiased but I think not. I demand an apology and sensitivity training for this poor misinformed soul. Law enforcement put their lives on the line everyday. We need only to think of what chaos would reign if we did not have these brave men and women to protect us. Thank you to all LEO’s everywhere. Bravo, to you, Mr. Glasser! I know that you will be getting many responses to your letter all in favor of your writings. This woman should have been fired immediately! CNN is a station that I had stopped watching a long time ago because of other stupid things that they have said. It is hard to believe that they are still on the air! I would hope ALL Emergency Services (Fire & EMS) follow suite. This was an insult to all Emergency Service personal nationwide. I have been involved in EMS for forty two years and am seeing more and more news agencies more concerned in boosting ratings by fueling the fires then reporting balanced news! I take great offense at the remarks of CNN news anchor Ms. Whitfield calling the gunman who shot up the Dallas Police Station “brave”. At this time, I don’t know if this is her personal opinion or that of CNN. Until someone is called to task for this insult, and a public apology is issued, I am encouraging everyone I know to boycott CNN news channel. I agree with a boycott!!!!! Gunmen are never brave! They are cowards that hide behind the gun. The BRAVE are or LEOs and MILITARY that stand against the cowards you are calling brave. CNN will never been on in my home. I certainly agree entirely with the comments by Michael Glasser. 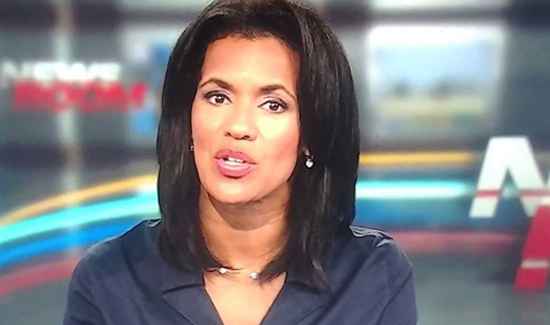 I don’t know who the news commentator (Ms. Whitfield) is but from her comments she should be fired summarily. I am only a civilian who lives in a town with an air force base, but I truly value the support and protection that our police, fire, and military offer us without thought of their own safety and I am extremely disturbed that anyone who is charged with supposedly presenting the news in an unbiased manner would take to the airwaves and make such comments. No person who fires a weapon upon people who are innocently going about their lives is brave or courageous! Firing on those who sacrifice so much to protect us is absolutely unconscionable. CNN is no longer a source of news for me after this fiasco. I have been saying to anyone that would listen for the last year that news station no longer report the truth. They say whatever will keep the story going and no matter who get hurt. I have on my face book, a post from a women that is a neighbor of the pool party incident. She has told news media what was happening and why the cops were called. How is was a party out of control and was getting bad and she asked the news to tell the truth and they wanted no part of the TRUTH and told lies just to keep it going. I could not agree with Mr. Glasser more. The comments made by Ms. Whitfield were utterly ridiculous and totally reprehensable. She has lost all respect from me. As a regular CNN watcher we are appalled by these comments. We agree 100% that CNN and Ms Whitfield owe the Dallas Police Department and law enforcement through out the US an apology! Shame! As a former honest reporter who covered police news and trials from City Court to Federal Court, I find today’s news media lacking in fair reporting. Ms. Whitfield does owe all law enforcement an apology and a promise to be honest in any future police happenings. As a former reporter you should know to do a bit of research before making stupid assumptions. Did you actually see the footage?!! You seem to be the only one in this thread who is making “stupid assumptions”! Okay, everyone who saw the footage, raise your hands, so that TI can get back to his/her wonderful life. I am a retired police officer from Windsor, Ontario, Canada…. I also am appalled at this reporter’s choice of words to sensationalize the incident as if she were talking about a Die Hard or Terminator-type movie…sickening how the lines blur between reality, Hollywood and intelligence…..I too will be be boycotting any and all of CNN’s supporting advertisers and all their products until CNN does the right thing…let’s see if they can figure out what that should include! I am also a retired officer, CNN will lose a lot of viewers after this reporters stupid remarks. it’s all part of Obamas plan to destabilize the country, and it’s working! Yes, Karen – from Day One, Obama has done nothing but divide our country – (1) Using his income and equality community organizer rhetoric (2) Men Vs. Women with his ‘War on Women’ ala Sandra Fluke (3) And whatever happened to ‘crossing the aisle’? Never even attempted it – the Dems and GOP have never been more divided! (4) He has taken Race in this country back 50 years, along with his pals, Al (501c3) Sharpton and Eric Holder. (5) Don’t even get me started on Foreign policy. The United States is a laughing stock now…. Time for Americans to stand up for all Law Enforcement! THIS piece of crap should be fired!!!!! Did you watch the segment??!!! I see all your comments if you are so sure of yourself then why are you afraid to post your NAME. Every one else here are not hiding behind a blank comment. Coward that you are probably talk behind peoples back also. You have a comment speak your peace this a free country but don’t use this site to rant and not show your name. Thank you for posting the link, Bogdan Pasat. Maybe after TI ‘WATCHES THE FOOTAGE’ he/she will stop “misspeaking’. Lol! Amen Mr Glasser. You couldn’t pay me enough to be a Police Officer in this New society we are living in where Thugs and Maniacs are Defended and Glorified while Police are called Brutal unjust racists and the Government is where it starts. The media reports what they are told to and the agenda now is to bring law enforcement to its knees with their hands tied behind their backs. Obama has destroyed America The seeds have been planted during his Term as President. Gary, you hit the nail on the head! Very scary! I feel so sorry for my sons and future (hopefully) grandchildren. They will suffer the most…..
Wow. Mr. Glasser! Well said. But I’d like to add–it’s not only members of the Law Enforcement community who are outraged, it’s every decent American, of any political persuasion. Unfortunately, our outrage doesn’t seem important to these networks. The only way they will listen is to actually carry through with the boycotts on sponsors of CNN. Retired Deputy. And I have already boycotted CNN. Never watched them anyway. Very well said Mr Glasser; Iam an American living in France ; and have been since 1980 ; I was a police officer in Florida for 9 yrs; and I can truly say that CNN is nothing but a propaganda station ! They only report what the American Goverment wants them to hear ! My father was a police officer for over 36 yrs; and my brother is still an officer in Port St Lucie FLA. Thanks for telling how it really is over there; You couldnt have said it all better Mr Glasser . I’m sure Ms.Whitfield’s words were offensive to many law abiding citizens, myself included. Her apology seemed halfhearted and insincere. It makes me wonder what her definition of words such as ” criminal” and “psychopath” might be. I can’t imagine why CNN has not taken her remarks more seriously. What is next? Are those who provoke and target police next to be glorified? Fire that idiot. She owes an apology to every Law Enforcement Officer out there, If she call an attack on a Police station brave and courageous she has to be nuts! Why would you want someone like her representing you! This woman should be made to stand before the camera and publicly apologize for her remarks. How dare she? I applaud Mr. Glasser and his letter to the executives at CNN and his outrage at that reporter. I sincerely hope CNN has swift action against Ms. Whitfield. Very well said! I’m retired from the Toronto Police Service and a number of other retirees and myself have sent letters of protest to CNN. perfect. This cnn anchor person should loose her job!!!! !I know like most however cnn is not brave enough to stand up to her and she will get away with it! I am a Senior Citizen and USA citizen, thru the years I assume that the USA society will maintain their decorum when respecting individuality and age. However, I am very surprise with the “free spirit” of individuals cross country saying that due to constitutional rights can verbalize any feelings and/or words. The USA society needs to reeducate these individuals and make them aware that Freedom is earned not born with.Proud Marine VietNam Vet 1968-1969. If these CNN words are true and not taken out of context, I AM DISGUSTED! To glorify an attack on the people who keep us safe, means you don’t give a crap about anyone except yourself. Unless, of course, you or your family have to deal with crime in any form. Then those “law enforcers” should risk their lives for you and be happy about it? These attitudes start from examples set forth from our supposed “leaders”, who are self-centered idiots like Ted Cruz. He was the #1 player in shutting down our government because he DIDN’T LIKE OBAMACARE. Now he needs it for his family, so it’s OK. The people of Hurricane Sandy needed aid, but Ted Cruz said it was a waste of money. Until TC experienced devastating floods. Now he wants the aid and it’s OK. My point is ….. this is how attitudes are fashioned. Ignoring the needs of others, while expecting differential treatment, leads to people feeling they are in an elite status. Expecting law enforcement to ignore the hate directed at them, change the rules for every situation, protect us NO MATTER WHAT and do it with pride, is selfish and irresponsible. Their job is difficult and should be respected. I HONOR each and every one! I’m not surprised it isn’t the first time she said something stupid about the Police. She had the late Joan Rivers walk off what was supposed to me an interview until this idiot insulted her. How the heck is she still in the job when Brian Williams who never insulted the military, Police etc. lost his? I doubt CNN will respond to your letter but it has to be sent. God Bless our police . Historically, Journalists and Journalism were supposed to be NEUTRAL. Now apparently, they spew their own feelings, right, wrong or indifferent, entirely LYING to the American People. There is NOTHING courageous or brave about this mentally disturbed person, with a criminal background, has done by attacking the Dallas Police Department. ANYONE who would suggest this, as Fredricka has done, is completely delusional. She has compromised her integrity and she should lose her job immediately. I saw her very brief and less than heartfelt retraction today, it was lack luster at best. As a retired Dispatcher – i began working for the Sheriffs dept at age 17, became a dispatcher at age 18, i am now 55, i have seem many great courageous, brave men and women go out and protect people like the CNN reporter, and other people who clearly do not understand bravery and courage, she clearly feels cowardly acts designed to hurt anyone and all who come near are to be lifted up as brave? I shake my head every day at the horrific way the LEO Community is being treated and all i ask every day is what if You call 911 and no one showed up? The world and the US has become so twisted and just insane, i pray every day for the LEO’s and their family’s, i just cant stand to see the Brave men and women treated this way. I For one will never watch CNN again. Shame on CNN to allow such behavior. No criminal is brave or courageous breaking laws but police are willing to sacrifice their life daily for another. Disgraceful! disgusting, hope she never needs the police! I am on board, I am from this point, boycotting CNN and affiliates and any sponsor or advertiser. The current political attack on law enforcement is beyond reprehensible, it is irresponsible and stupid! Big amen to this, President Glasser, but I’m not waiting for any apology. I have already begun my own personal boycott, adh have encouraged my friends anf family to do the same. Maybe CNN stands for “Cops Not Needed”. Mr. Glasser could not have said it better. Your station is not allowed to be watched in our home. As a Board Member, in a 235 unit building, this will be a topic discussed, regarding your News Station and how it relates the news to the public. Ms. Whitfield’s remark is a slap in the face to all our Law Enforcement Officers. Thank you,,,,, No…..let me reface that….You’re Welcome, as YOU should be thanking all our Officers for protecting and servicing our Country. Make her apologize and Fire her on Air. Disgusting remarks by a supposed professional reporter! CNN is off my viewing list and I do believe this woman should be fired after she gives a DECENT apology to all police officers everywhere! Well written letter Mr. Glasser! I totally agree with you. Stay safe to all LEOs out there. CNN, you need to FIRE this lying journalist immediately. I’ll NEVER watch CNN or her again, ever! Disgusting. Does she not realize that advocating violence against law enforcement will result in our country’s ultimate demise? I won’t be watching CNN! Shooting Policemen is not brave or courageous. Her comments are offensive. I hope that someone at CNN fires her immediately. I will not now, or ever in the future, tune in that “that channel” (it disgusts me to even type the 3 letters) again. Period. I would like to think this young and uninformed Newscaster has made a grave error in judgment and her statement may have been taken out of context at best.. As a Retired Police Officer, I take exception to her descriptive adjectives used regarding the “Shooter” in the Dallas incident. He is anything but courageous or brave. He may be a little stupid knowing who and what he was shooting at. Ms. Whitfield, on the other hand, certainly should have had better sense to make such an asinine statement concerning his state of mind at the time. In a way, I feel sorry for her ignorance because her career in the News Media surely has come to a screeching halt if the employers at CNN have an ounce of good sense. Please tell me that CNN has already issued this reprobate her pink slip! She should be fired immediately for her disgraceful comments. Does she know the meanings of the words brave or courageous? Perhaps she needs a dictionary. This assailant was neither brave or courageous, he was a coward. This is really a unbelieveable thing she said.I dont know wat she was thinking of or if she was thinking at all.Sad she is in a job where she can reach out too so many people with comments like that.Our police officers are the brave ones out there.Sad really sad. The shooter was not courageous and I find what she said offensive. Is anyone left at CNN with a brainstem? She should be terminated. What an ignorant thing to say. CNN should not just apologies to the Dallas PD and to all Law inforcment they must call for Fredricka Whitfield to resign or be fired. A disgrace, will boycott CNN until her termination! Just as one police officer’s mistake can damage law enforcement, often we see the officer resign for the good of the community and the department, whether we believe the resignation was justified or not. She should do the same for television media with regard to her mistake. Just as in policing, the resignation may be due to politics, it is more often simply a matter of regaining the public’s trust. Where does CNN stand on regaining the public’s trust if she can’t or is unwilling to do so? That is the bigger question. I think that CNN is trying to cause more problems by allowing her to say what she did. We forget that the police officers have been there for years risking their lives for us-we can’t have it both ways-the news should never take it upon their selves to make an opinion- their job is to just show us what is happening-every time I read a paper or watch the tv all I see if someone trying to basically start a riot by putting a bad light on the cops– how come you never hear how the so called poor guy was busy robbing or trashing a place? All of a sudden this person is such a great guy even with a terrible criminal background who is behind all of this “making the cops look bad” attitude? Maybe she’s really a FOX mole…! Think about it! The comment made by the CNN anchor are ridiculous and I think she should be fired and they need to apologize. I don’t understand what is wrong with people today. God bless all the Police Officers and may God keep them safe. let’s boycott CNN. Im going to take a WILD guess and say that most of you mouthing off on here did not even see the footage or bother to look it up! She was clearly being facetious. It was poor wording but she clearly did not mean it how it is being interpreted. She also said it was crazy in the same sentence. If you actually watch the footage and see the look on her face you will see. Kind of like when we might say someone is “brave or stupid ” when the do something dangerous. We don’t really think they are brave! I don’t think I’ve ever seen that CNN anchor, just hate people trying to ruin her for something like this. I hope none of you are judged by poor word choices!! Oh wait…..you are as I think most of you are ignorant. Lol. She needs to be remove at once! It is “News reporters” like her that gives the citizens of this country the idea that it’s OK to fight and make war on law enforcement! She in the same boat as Sharpton and that guy in the big white house. That ms whitfield ( she is not worth a capital W in her name ) is the davil her self, because only the davil lies. That’s why I never watch cnn the lieying chanel it always was and always will . Yes Thomas, I think they watch CNN, late at night and on weekends because MSNBC is airing shows about people in prisons, etc. I can not believe if this is true that CNN would allow her to get away with it.. Brave really. Brave was the men and woman working that night that tried to protect each other and the citizens. Brave and the men and women officers not the fella shooting and attempting to blow up the PD and officers. It was no wonder his child was taken from him. My husband is an Deputy and after seeing videos on the shooting my concern of not having him one day worsens even more. Many people feel law enforcement and the worse thing next to slaves but let me tell you what, if it was not for them drugs, robbery killing and so on would be so much worse. We would not want to live in the free country if it was not for our laws and officers who kiss their loved ones each day goodbye because thanks to guys like that fella they don’t know if they will return or leave their family broken hearted. So this gal can take her job well she needs to over on. Same on CNN for not doing something sooner. Wow I’m lost for words. What have we allowed this world to come to. I can only pray that God keeps protecting my husband from harm and words from people like this lady. I pray this for all officers. This stupid ignorant woman needs to be fired! WE shouldn’t have to be calling for her firing…CNN should have done it already. I guess maybe we should pity someone like Ms. Whitfield who doesn’t have any sense of reality or common sense…like a “bad” cop…no one will want her on their team…good luck in your future…. I used to trust CNN for reporting the news in a fair and accurate way. This tho was so off base that I am very disappointed that CNN didn’t make her apologize or take her off the air. My son is a law enforcement officer and not one day goes by where I don’t worry about his safety. Comments by this reporter show how ignorant people can be in the media.CNN is no longer my choice for news. This woman needs to be fired…period! This woman is a person of interest, she is obviously a person who wishes harm to our policemen and women. I hope that when CNN calls for help it will fall on deft ears! CNN is a joke and should be barred from using the airways to support treason. I agree with you 100%. I am happy to report that I began boycotting CNN long, long ago. They have been a crap news station for many years, in my opinion. Thank you for bringing this to my attention, as it validates my boycott. This, however, is a new low in their crappy “news” coverage. It’s not even journalism. And to anyone out there who reads this, seriously, boycott CNN. It is nothing but garbage. That’s why they’re the Communist News Network. What I was shocked most was that was from CNN and not Fox News. Either way once again stupidity in the media rears it’s head. To the person constantly asking if we saw the footage. Yes we did. Here it is so that you can see it too. Look, This is a seasoned reporter, news anchor and liberal. She, CNN and others have an agenda. To discredit Law Enforcement when ever possible, They may not realize it but its whats happening. Since our current President, wrong Rev.Al Sharpton, Rev Jackson and Eric Holder are the drum beaters. They are no friend of Law Enforcement. Look at the BIG picture. Most people dont see it. CNN will get her to apoligize and its ok with most good people I guess. But on the back end when they have the Press Banquet at the White House she will get some sort of award. Remember she is a very experienced reporter and anchor. She knew or should have know what she was doing. A reporter dont rant and rave without a direciton or purpose. IF and IF she is that reckless then CNN needs to re-evaluate her situaiton. Which won’t happen. The public has a very short memory. As a Law Enforcement Officer for over 30 years I look forward to retirement and recommend no young people don’t seek this as a career. Its not a good time. Your life is endanger with the help if the aforementioned people. THEY put a target on our BACKS. The News Media are their pawns. I am fed up with bias reporting by CNN reporters. This woman should be fired for her comments. I have already stopped viewing CNN for the way they treat Police incidents. I am a Police Officer in Ontario Canada and I am truly hurt by the stupid comments of Reporters and people on Social Media. I have a daughter, a son, and a son-in-law who serve as LEO’s. I take great offense to the statement made by CNN. It is as if this “lady” has put a giant bull’s-eye on my children’s back, along with ALL law enforcement. As for CNN, apology or not, I am done with them!! Well, if it was Ms. Whetfeld’s position to get people talking, she’s done her job. Thing is, what she has said has backfired on her. Yes, we’re all talking about what she said. We agree or disagree with Mr. Glasser. We keep talking about it so the topic stays on the front burner. Do I agree with Ms. Whetfeld? HELL NO! Do I agree with Mr. Glasser? HELL YES! As soon as we all stop talking Ms. Whetfeld will go away until the next time she stirs the public opinion pot and get us all upset and talking again. I don’t think CNN is capable of doing the right thing “FIRING” f whitfield (not worthy of capital letters) for her hateful, disrespectful comments towards law enforcement because they are just as unprofessional with most of their reporting and coverage against officers. I hope this never happens to whitfield but if she ever gets robbed or something horrible happens to her or her family members and needs to call 911, oh wait a minute…. she wont, that’s right… she considers violent people courageous and brave!!! I just want to say GOD BLESS YOU to all Law Enforcement. THANK YOU for all you do. All news stations have disrespected Police officers with their poor coverage. Police Officers are the CORAGEOUS AND THE BRAVE!! Got that Whitfiled! !